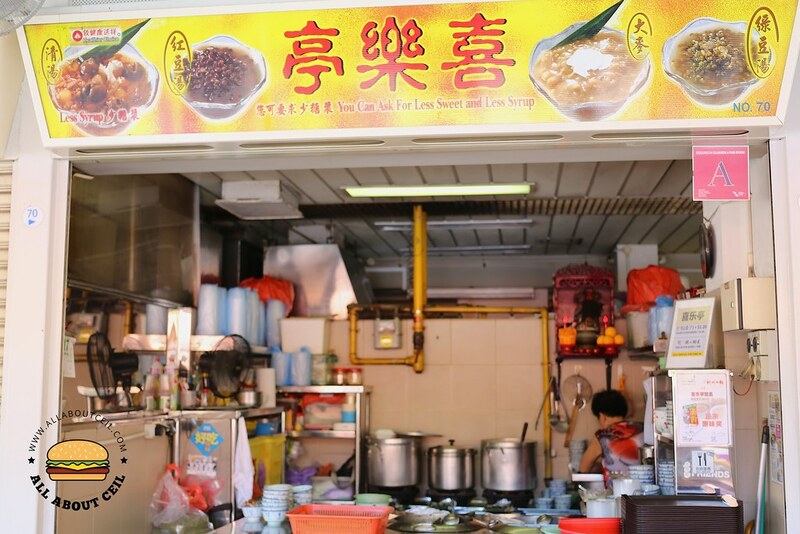 My first visit was decade ago when they were still at the old food centre in Commonwealth Crescent. I was just staying in the vicinity then so i usually walked there after dinner to have desserts. 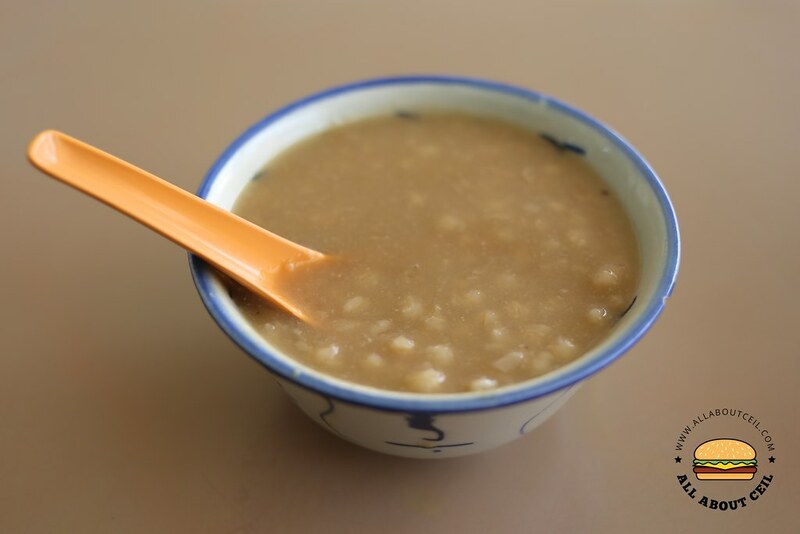 It was only 0.50 cents per bowl at that time for old school desserts like red bean soup, green bean soup, cheng teng and white oats. I stopped coming here for quite a long while after i moved away. I am so glad that this stall is still around after all these years. 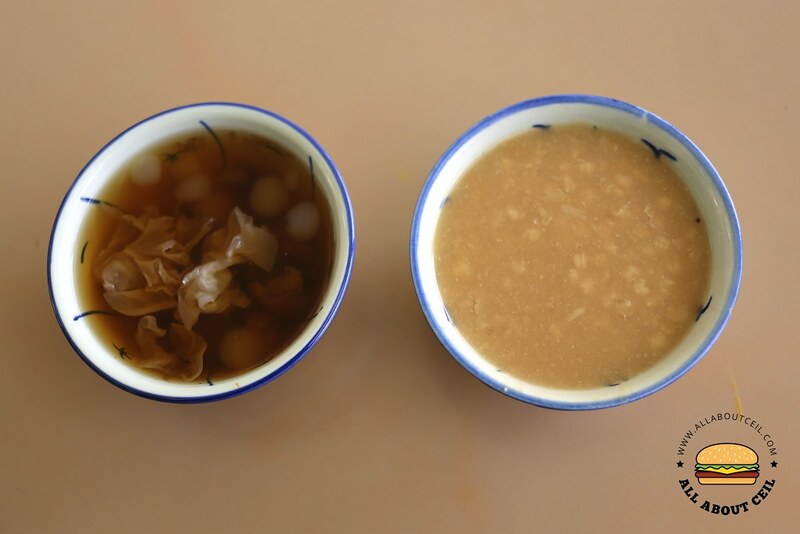 The elderly auntie has been cooking all these desserts for more than 40 years. She has somewhat reminded me of my late Grandma as this auntie is always in her old-fashioned sleeveless top and pants that you do not often see elderly ladies wear these days. I was there after a late lunch and i wanted to order a bowl of green bean soup and a bowl of white oats. I was told that green bean soup has already sold out so i asked her, 'What do you still have left?' She just said, 'White oats la'. And, i asked her, 'Do you also have cheng teng?' She nodded her head. 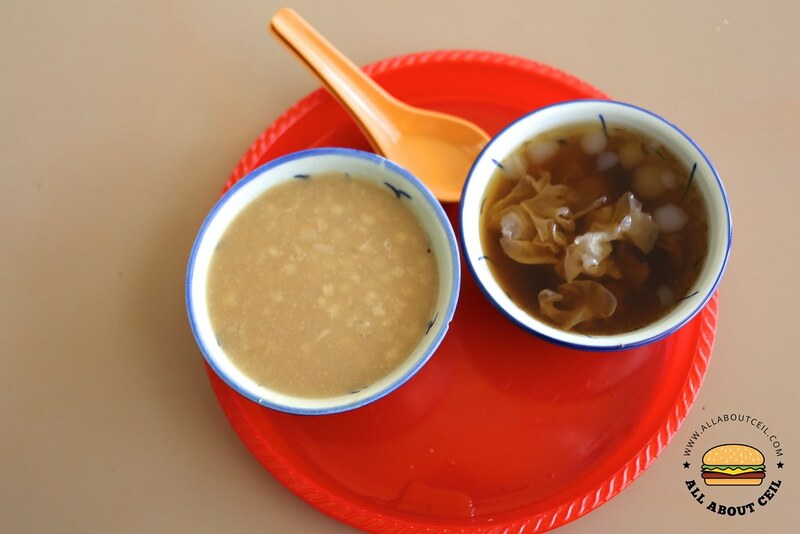 The prices have increased to 0.90 cents per bowl and it is still served in those traditional porcelain bowls. It is self-service and you could place your bowls on those old-school plastic red round trays for easy carrying. The bowls are actually quite small for just a right portion and it is good, this means i could have 2 to 3 bowls of different desserts each time. 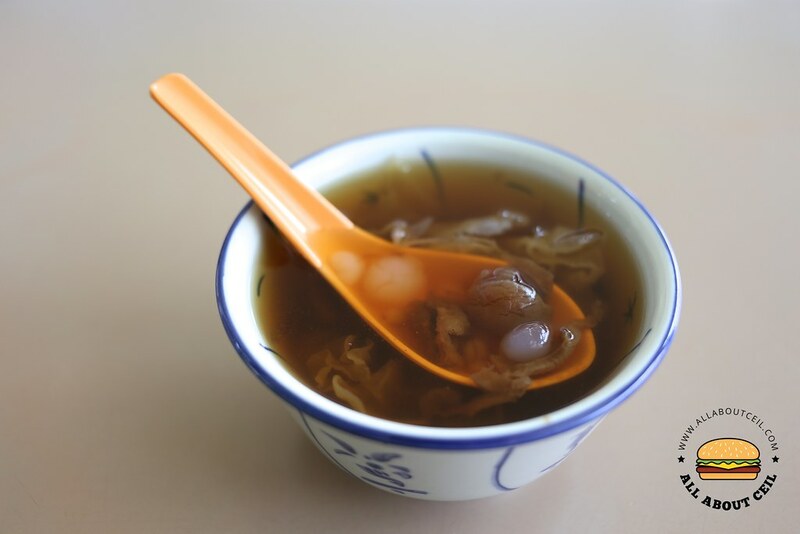 The cheng teng is amongst the popular choices and it is only served hot, it consists of white fungus, big sago, dried longan, barley and dried persimmon. 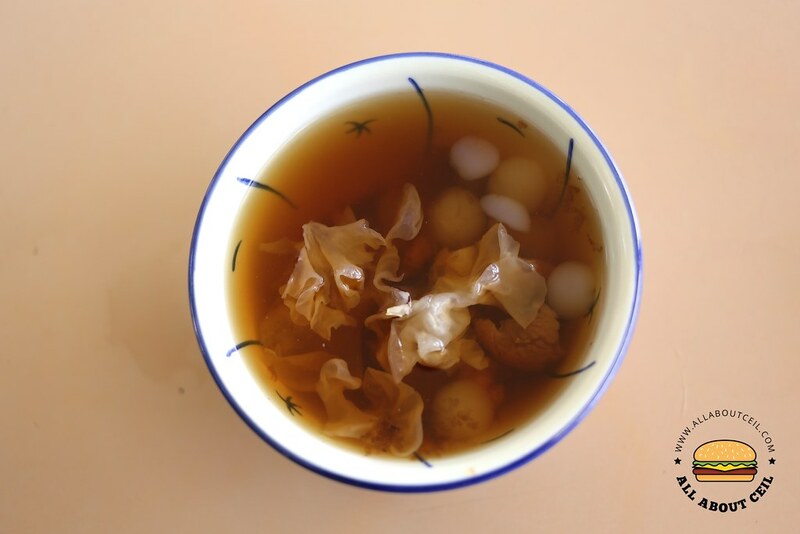 The soup has just the right level of sweetness with a nice taste of longan. The white oats is also popular amongst the regular customers. 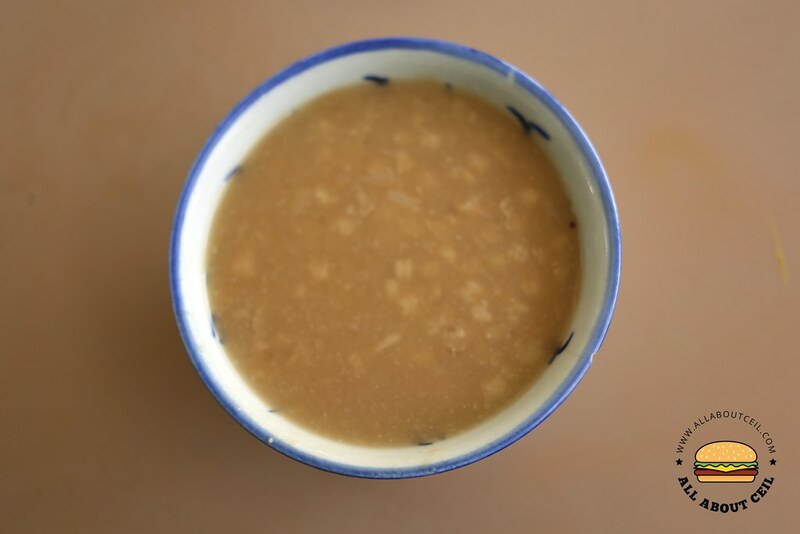 The oats were nicely cooked to have it broken down into fine pieces and its has a smooth texture with a well-balanced sweetness. My late Grandpa would have enjoy this if he is still around. I do hope to see this stall to be around for another couple of years as such comfort taste is getting difficult to find these days.